Since 1928, Sea Island Properties has served as the leader in luxury real estate along the Golden Isles of southeastern Georgia — namely Sea Island and St. Simons Island. 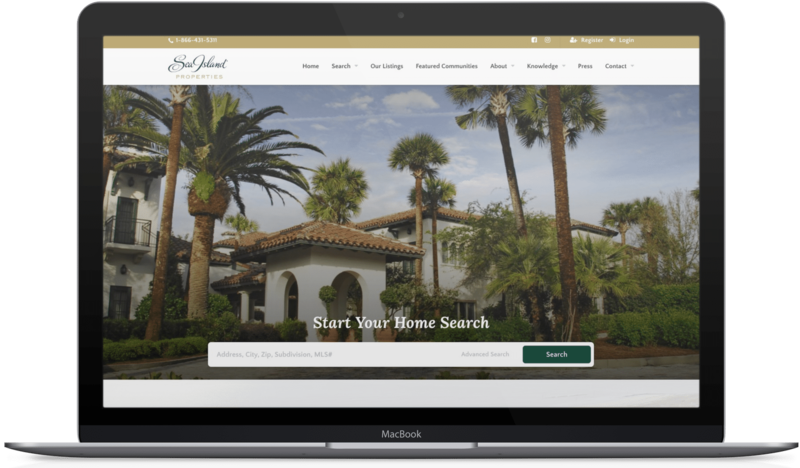 Southern Web was asked to craft a brand new website for Sea Island Properties that featured a responsive functionality and expertly exuded the resort’s reputation for luxury and serenity. The result is an utter visual delight. The redesign includes Southern Web’s custom IDX solution, which displays bright, colorful photos of the homes in the area for the sale or rent. All properties are updated dynamically from the Golden Isles Association of Realtors. Additionally, the site includes profiles of each agent with a large display of each property in their inventory.